Building a pergola or gazebo is surprisingly easy if you've planned in advance and accounted for all the materials. A garden is often the most relaxing part of a home. A place to get in touch with nature and the beauty surrounding our property, but who wouldn't want to enjoy the wonder of the outside when the climate has become harsh, rainy and bitter? You didn't invest in having a stunning garden for nothing and you should be able to enjoy it regardless of the weather. 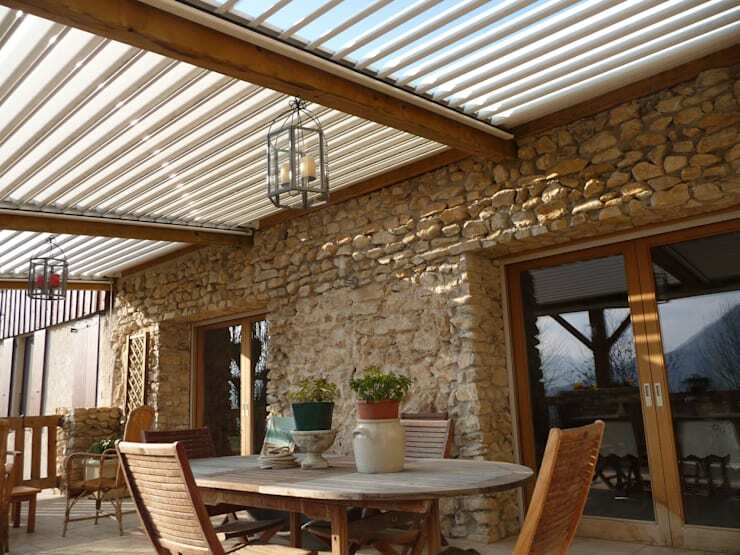 This is why our Ideabook concentrates on fantastic outdoor protection with some decorative appeal… the pergola. You may already be aware of the benefits of this outstanding designer piece, but today on homify we will treat you to some tips on the types of stunning pergolas available to suit all your needs! 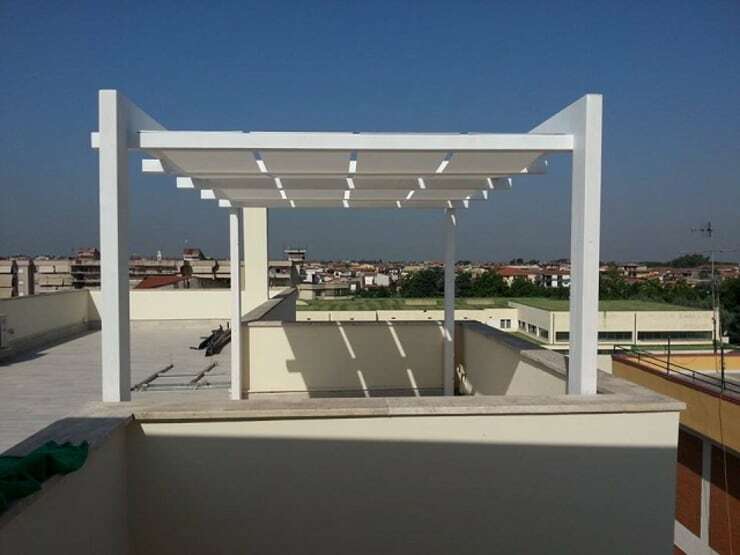 Any pergola requires adequate ventilation to prolong the lifespan regardless of the material it is made from, this means that with enough ventilation your pergola will be able to remain an area free of mould and grime, the culprits of decay. 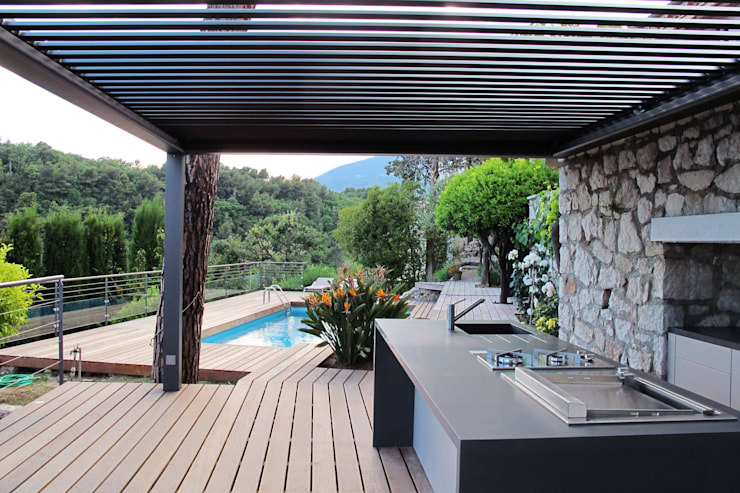 This idea by the team at SoliSysteme has covered all the bases of form, function and modernity in the design of this amazing pergola! 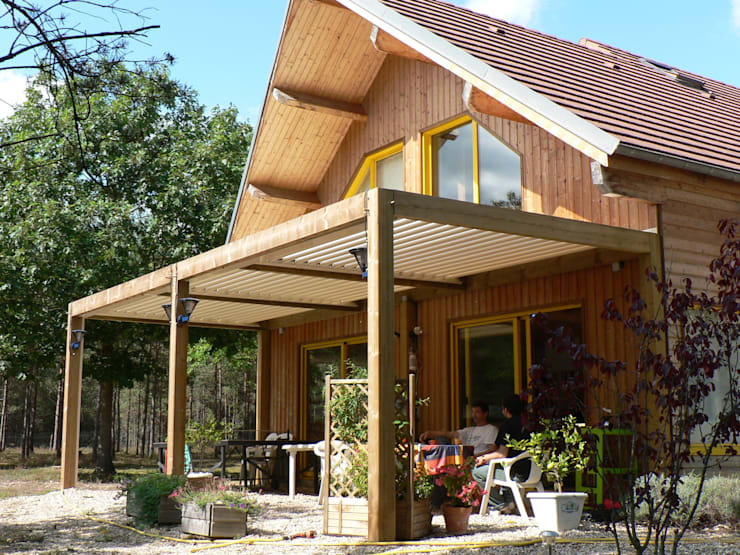 This pergola idea, also by the team at SoliSysteme, has used the house to support part of the structure, it is an excellent idea because now the pergola seems to be an extension of the home. The placement of the pergola is extremely critical as it will be both time and money used to create a comfortable space outside and an area for you to relax, entertain and enjoy your garden. When deciding on the type of pergola for you, it is essential to determine which type of pergola will best suit your home design. Is your home modern and minimalist? Country and rustic with a touch of vintage? 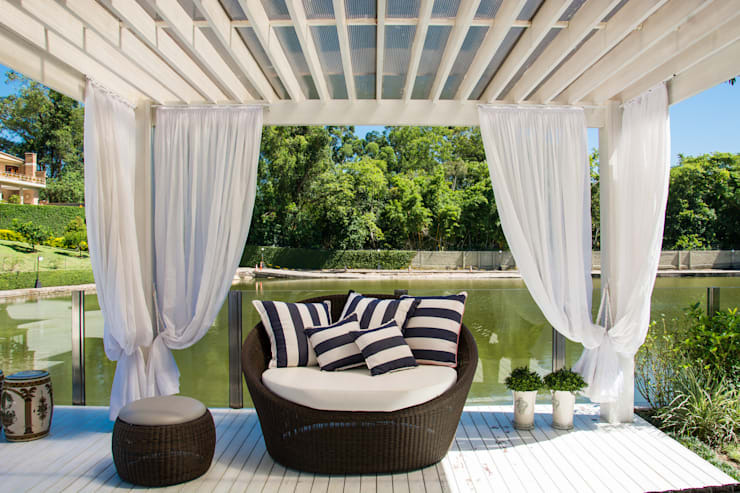 The materials available for building your ultimate pergola range from a chic metal structure to a more natural wooden look reminiscent of the Mediterranean. Get your creative juices flowing in the meantime! The types of materials available for pergolas make your ideas almost limitless but it is important to decide on which material will suit your garden and the style you have chosen. Also take into consideration your landscape and climate. Are you located closer to the ocean where an iron pergola might rust? Or does the wind blow quite often so a wooden pergola might be a bit too weak? It is very important to consult a professional contractor before beginning your actual installation. 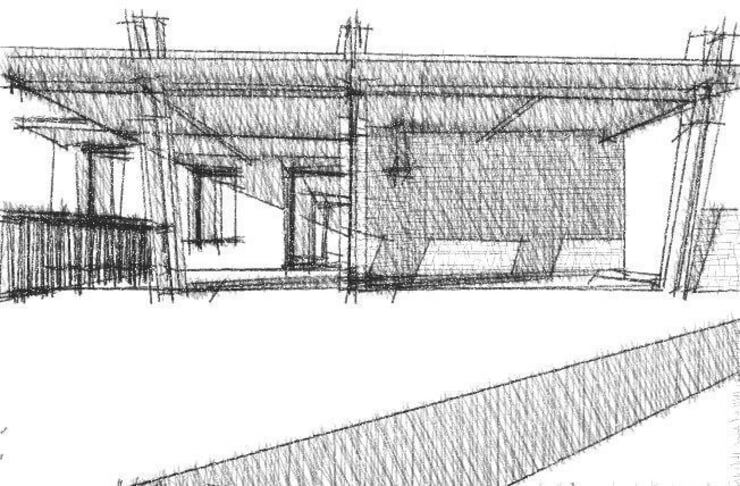 The expert will take into consideration your idea and concerns to create a sketch that is the start of your actual plan. The professional will likely see issues that you didn't think about. But professionals in any case have worked with situations like this for a long time and have the experience necessary. Once your fantastic pergola is completed, you can now consider the decorative approach that will complete the design completely. Take into consideration the possibilities from the surroundings that make this garden classic and elegant. Hanging, flowing curtains and including stylish furniture may just be the completed design idea you had in mind. For more outdoors inspiration, evaluate: The Best Garden Privacy Options. Would you love to add a pergola to your garden? Tell us which style best suits you!